Goodreads summary: "The trees swallowed her brother whole, and Jenny was there to see it. Now seventeen, she revisits the woods where Tom was taken, resolving to say good-bye at last. Instead, she's lured into the trees, where she finds strange and dangerous creatures who seem to consider her the threat. Among them is Jack, mercurial and magnetic, with secrets of his own. Determined to find her brother, with or without Jack's help, Jenny struggles to navigate a faerie world where stunning beauty masks some of the most treacherous evils, and she's faced with a choice between salvation or sacrifice - and not just her own." I've never been a huge fan of faery books, but I decided to give this one a shot, because I became creepily fascinated with this one when I read 'the tree swallowed her brother whole'! And was I ever RIGHT in picking this book to give the genre another shot! -A determined, flawed and brave heroine that I could root for. -THE BOY. Jack is a heterochromatic-eyed swoon-inducing boy who completely stole my heart. -Smooth, beautiful writing with a pace that was just right. -An introduction into the fae world that shows both the beauty and the cruel side of it without apology. This book left me smiling and I just know it'll be one of those stories and characters that'll stick with me for a long time. 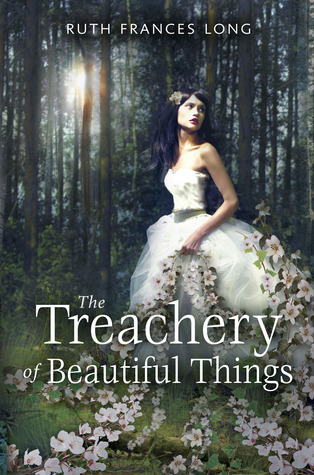 Highly recommended, even if you're not into faery books! This sounds amazing.. haven't actually read many faery books, but maybe I should! Not a big fan of fairy books either, but it helps to know "this one's different." Thanks! Nice review. I am really interested in this one and it's definitely going up my que now!